As If was a British comedy-drama series broadcast on Channel 4 in the UK. 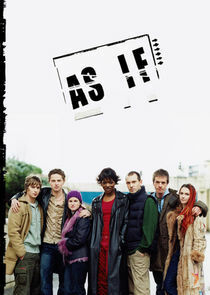 The series focused on six young adults who lived in London. Each episode was presented from a different character's point of view, which up to that point in time had never been done before in a comedy-drama television show.